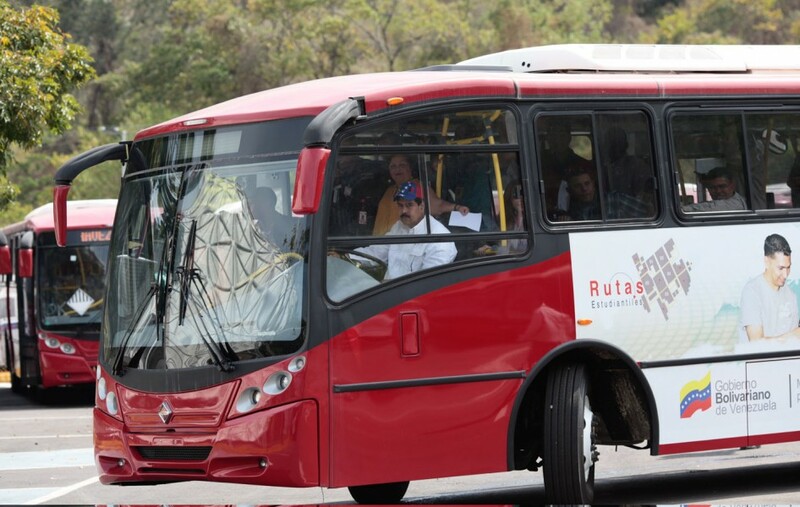 You can win a bus nuevecito de paquete with the new raffle of the Maduro campaign. Disclaimer: The bus model may differ. On paper, all Venezuelan electoral campaigns are funded through private donations, as the Constitution bans the use of public money for political parties. But the law is one thing and reality on the ground is quite another. With each new election we’ve witnessed how the State is the real political party and the PSUV and other Chavista groups (except perhaps the PCV) are kept as mere formalities. This brief campaign won’t be different: Just check out the main members of the Maduro Campaign (formally called Comando Hugo Chávez). The key appointment here is of Rafael Ramírez, Oil Minister and PDVSA President as head of the campaign’s movilization and deployment. This is shameless enough to crush even Quico’s hardy optimist streak. Still, appearances must be kept and so the Maduro campaign is asking for supporters’ donations. For example, giving away a day of salary or sending a text message. But, there’s always the old fashioned raffle, where people buy a ticket and get the chance of win a prize. The “victory raffle” will have a very different prize: Instead of a car or a house, it will be a brand new bus. This is obviously connected with Mr. Maduro’s history as a bus driver. But the detail that bugs me isn’t the bus or the three motorcycles (runner-up prizes), but the ten electric appliances “combos”, which come from Mi Casa Bien Equipada program. Somehow, there are leftovers of the plenty of Chinese products which are selling well. The Capriles’ campaign (named Simón Bolívar, something that Maduro & Co. didn’t like because you know, Chavismo de facto owns all copyrights over el Libertador) have to face the fact that it won’t dispose of the same resources as last year. And those who really want to donate are probably thinking it twice, thanks to the Goebbelsian spectacle seen last month. So, don’t be fooled: Along with the permanent use of the late comandante presidente’s name and image, the petro-checkbook will be again a pretty decisive factor in this blink-and-you’ll-miss-it campaign. Even if that checkbook is now running on fumes.